Is the day of the offshore financial services captive in terminal decline? The current financial crisis is driving many of the leading financial institutions to sell their Indian captive operation to third-party service providers, typified by Citigroup today offloading its Indian banking services operations to Tata Consultancy Services for $505 million. Most of these offshore captives were established in recent years to cater for growth in the financial services sector, and with the current climate, many of them have little choice but to sell them off. I was having an interesting discussion just yesterday regarding Securities/Capital Market BPO (back office operations of Investment Banks, Asset Managers etc.). Most of the outsourcing in this sector here is to captives, for example, JP Morgan, Lehman, DB, UBS, Goldman Sachs and Morgan Stanley each have between 1500 - 7000 employees in Indian captive operations. The trading volumes in some instruments are practically negligible in this economic climate. Take OTC Derivatives Confirmations and Settlement processes - these teams were significantly ramped-up towards the end of 2005 to meet regulatory requirements, in view of very high-volume spikes in demand. Now, in some cases, 60-70% of team members are literally twiddling their thumbs. Attrition has reduced significantly as there are not many jobs on the market offering higher salaries. Moreover, the back-office-cost-per-trade ratio continues to rise as this economic situation fleshes out. Hence some of these captives are in a quandary; large scale lay-offs are not an easy option in India as they significantly impact the brand. Redundancies in India have generally been of two types - small 100-150 employee operations closing shop or industry giants letting-go less than couple of percentage points of their workforce under 'under-peformance' or some other pretext. The theoretical argument in favor of third-party outsourcing is that it provides flexibility to scale-up and down and keep the cost-per-trade at a minimum. This segment of the industry went mostly captive over-looking this argument in a high-growth period, with control and regulation being the over-riding factor. One large operation is already on sale, and there are some of the largest third-party outsourcing deals in discussion - is this the beginning of restructuring of this segment, and is the day of the offshore financial services captive in terminal decline? This argument is strongly supported by today's largest-ever buy-out of an Indian captive operation. It was a widely known fact in the industry that Citigroup had been contemplating selling its Indian banking operations to a third-party for over a year now. The fact that is has finally made that decision so quickly after the recent financial meltdown is telling of the changing attitude towards outsourcing, and the fact that these captive support models do not work well in a volatile economy. One other element that will impact the situation is that the 'Wall Street' bail out is not a bailout, but rather an investment. How many of the financial firms that have captive centers offshore now will have a new controlling interest...the US Government. How are the elected officials in Congress going to react at tens of thousands of jobs being serviced offshore while these organizations are controlled and majority owned by the US government? This could be the touchstone for a significant change the contact center environment and lead to wholesale repatriation of these jobs to the US. Well, it is not an investment as of now (maybe investment in instruments but in banks themselves) - more like warrants. So for now some of the banks maybe interested in selling out captives to payback the Government rather than let it have cheap equity. AIG is a case in point - it is selling various divisions to repay part of USD 85B to the Government else in course of time it will end being Government owned for that small amount. The largest captive (or maybe one of top 3) may formally announce the sale today. It is an argument I had made earlier - the current problem is of the order of 100s of Millions, if not billions - only thing related to outsourcing that can in anyway help is selling captives which as other India based entities have a very high valuation (the aniticipated sale of this captive is in excess of half a billion USD). No outsourcing will deliver 100s of millions of dollars immediately. The larger Indian players should be able to do very well in this fire sale. They have hoarded cash for years, and are relatively debt-free, which strengthens their position as saviours of failed, or at least over-exposed, operations (captive or otherwise). I had always wondered what they were waiting for with all that cash... Now I know! I would disagree with the posit of all the three authors below. The concerns have been around for some time and Aviva and Citi have been sold, but the point remains that these financial services captives, very frankly, pioneered these services from offshore. Bench time is rather a regular feature in all parts of services, esp Capital markets and financial services and it does not take away the contribution of the teams in any way. I think what can change is the consulting 'resource' concept and i posit that 3-4 years down the line, we would have solved the problem by working out a way to deliver value added services seamlessly. The technology spend is far more controllable and thanks to Moore much cheaper than travelling. Anyone who thinks we can live in our own separate worlds without either is forgetting one's good history becaus eof these pictures of pain and distress hat again are just as regular as the Olympics. The current crop of captives still have the best of breed captives ( esp if IT and BPO are taken together) that deliver much higher value than a third party vendor. Its probably the best way to get best of both worlds. I see this panning out as follows. Best of both worlds indeed! I've always been of the opinion that the captives are not the ultimate solution. There're just too many inhibitors in having a solid "captive success" that warrants the need of keeping the majority stakes with the people on ground delivering the service. TCS-Citi is a solid case proving the point - although a strong driver in this case might have been (in addition to some strong fundamental ones) the upheaval in the financial markets. A tactical relationship with a 3rd party is not a solution either. 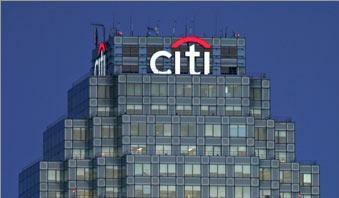 Thats where Citi seems to have done a good job with this deal (atleast on the face of it) i.e. they seem to have defined a more strategic future relationship with TCS as part of the sell-off deal. Captives can and have worked but a better solution would seem to be outsourcing (with a strong provider and comprehenisve metrics monitoring) and/or a managed services arrangement. Captives reduce some of the cost but still require substantial capital. When volume drops the cost can be high. Companies established the captives primarily to reduce costs. A captive provided companies with a lower cost provider that still met the service and brand requirements. This can be accompished with a true outsourcing or managed services arrangement.